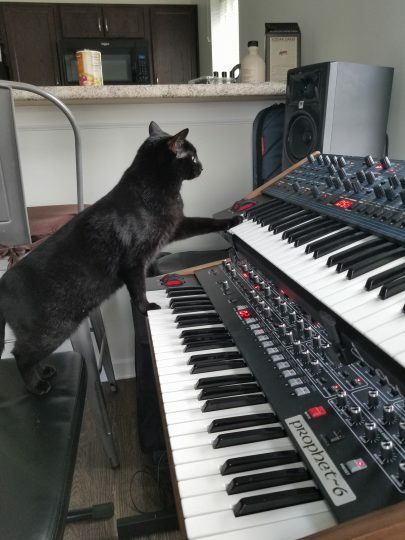 Posted on May 7, 2018 May 8, 2018 by catsynth	This entry was posted in Cats, Featured, Synthesizers and tagged analog, black cat, cat, dave smith instruments, midnight monday, oberheim, prophet 6, sequential, Synthesizers. Bookmark the permalink. We here at the office would like to hear a concert from this little one. Looks like they are practicing really hard. Thanks for sharing the photos. Hae a great day.